Event tech tools have become an integral part of any savvy event planner's survival kit. They help to manage events more efficiently, improve audience engagement, and boost event ROI. Some tools obviously cater to event planners whereas some tools have been used in other industries and are only now being adopted by in-the-know planners. To help readers work more efficiently, we’ve compiled some of our favorite must-have event and marketing tools, via three important categories, Productivity, Content Production, and Marketing. Clear is a simple to-do list manager for Mac and iOS. One of the benefits of Clear is it has a simple and intuitive interface that allows you to make to-do lists and group to-do lists for related items. It also allows you to attach reminders to specific task and employs gestures for item completion, rearrangement, and navigation. Both these tools allow you to make alerts so you are notified when you or your competitors are mentioned on social media or in online articles. As it is important to stay on top of what is being said about your event as well as what your competitors are up to, these tools will allow you to track your performance, identify influencers, and react immediately to any mentions of note. These are great tools for those interested in providing outstanding customer support, or who want to track brand reach. Communication is important when it comes to events, and you will need a reliable tool to hold conference calls and have client meetings. Zoom and Uber Conference are both conference call services that are known for hosting smooth video and VoiP meetings. Slack is a messaging app that allows for friendly collaboration capabilities, allowing you to use channels to create event communities, which is a greater and better alternative to email chains. Slack also featured over 150 integrations with other amazing tools, like Bizzabo, meaning that in theory event organizers could manage their event straight from Slack. This tool is a bazaar for hooking up phone calls between entrepreneurs and mentors. The advice givers can either talk for free or set a price for their time. Founders and entrepreneurs can browse through the Clarity directory and topic pages for advisers, or ask questions in Clarity to get suggestions on who they should turn to. Karma makes a Wi-Fi hotspot connected to a cellular radio by using an LTE cellular data network and provides a Wi-Fi signal that your devices can connect to. It features the combination of fast speeds and unlimited bandwidth, which can turn out quite useful, especally when traveling. Inbox by Gmail is an email app created by Google. It's compatible on Android and Apple phones and on Chrome, Firefox, and Safari. The app is focused on improving email productivity and organization by allowing user to snoozing messages for a later time, bundling similar emails together, and creating cards for things such as flight times. It also helps you browse without opening emails by previewing attached documents, ultimately saving event planners precious time. Google Keep allows you to quickly organize everything you need to remember and stores them safely across all devices. The interface is colorful and easy to use, making it easy to tell your various lists apart from one another. It also has a spectacular system for setting reminders that ties directly into other Google services. Hemingway Editor helps the average person write more like Ernest Hemingway and less like an overly caffeinated monkey. The program highlights sentences that are overly wordy, written in the passive voice, or contain grammar errors. Create gorgeous images for social media and marketing promotions in minutes. Since Canva provides you with countless design presentations, social media graphics, thousands of beautiful layouts, fonts, colors, a drag and drop feature and more, it is a great tool for those who need a simple way to create stunning marketing collateral. Make sense of your data with a tool that converts boring numbers into sleek visualizations that helps you see the trends in your event data. With over 35 different charts, users can create great looking charts and graphs in no time. Infogram is a great tool for event organizers who are interested in providing insightful reports to other key stakeholders. Memes are captivating, share-able, and a quick way to help your event go viral. With QuickMeme, you can make custom memes in a minute or two to spice up your visual content or entertain event attendees. Glisser is the ultimate audience engagement app, which connects your audience, via smartphone or other device, to speaker presentation, enables real-time polls, digital Q&A, social sharing, likes and slide downloads. In addition, Glisser features actionable analytics and turns presentations into an opportunity to gather leads, profile audiences and discover new insights. This app helps you find good topics to write about and lets you generate content ideas that your audience reads and shares. It allows you to find successful content by topic and domain to curate content which has performed well in a particular niche, run analytics to identify which social networks are best for you target market and which topics or headlines your audience cares about, and discover what your competitors are up to and what titles are working well for them. 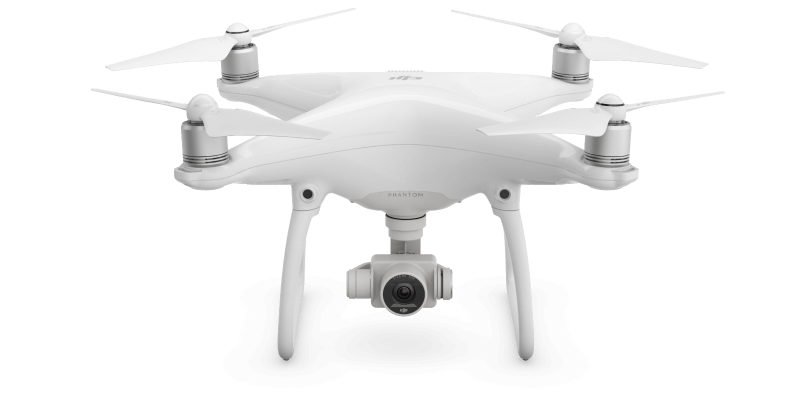 The Phantom 4 Drone can hover above your event and take stunning HD images and video. Increasingly, cutting edge event planners are using drone imagery to used to promote future events. At the hands of a skilled Drone pilot, the Phantom 4 can even be flown in doors, providing attendees with a unique thrill. Adobe Spark allows you to create social graphics, web stories and animated video, and because Spark projects automatically sync between your computer and iOS device, you can create and share them anytime and anywhere. With its beautiful interface, Adobe Spark is the ultimate tool to quickly generate great looking promotional materials without needing to rely on a professional designer. Instagram stories has only just been released. The tool is extremely similar to Snapchat, but with a somewhat cleaner design. With this new feature, you can share event updates, behind the scenes videos and images to get attendees excited for your upcoming event. If you ever need to display any social feeds on your websites, mobile apps, TV displays and more, turn to Tint. One of its features, TINT Mix, gives you the power to combine TINT with other digital assets (images, videos, URLs) all in one display. Creating visual content with Stencil is simple, fun and lightweight. It is designed to help you create beautiful looking images faster than ever before with its features including gorgeous background photos, templates, logos, all in custom sizes. It also features a chrome extension so you can create images while browsing the web. Create a visual story in a single image with Instagram’s Layout app. You can make fun, one-of-a-kind layouts by remixing your camera roll and instantly see them laid out in various combinations. Since Layout gives you creative control, you can give your followers a glimpse of the events to come. With InkCards, you can mail unique but real cards without going through the process of mailing it yourself. You can create and send cards from your iPhone or iPad, and you can even add an embossed envelope or a thicker matte card for a more formal feel. The largest online video and live streaming service provider, Ustream offers lots of control over your videos. You can make any individual video private, or only view-able by those in a group. You can also make your channel private, remove it from Ustream.tv, or restrict embedding to specific URLs. Your attendees and those who couldn't make it will appreciate the easy ability to download previous event broadcasts that you stream. 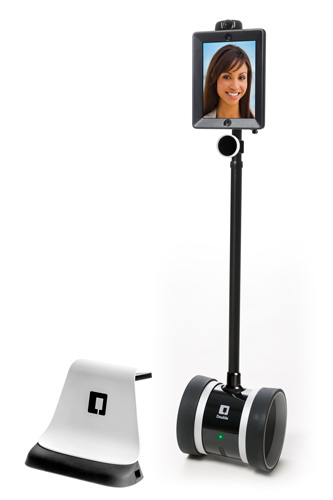 A telepresence robot, Double Robotics combines videoconferencing with a remote controlled device. You log in like a Skype call, either via a mobile app or website, and the bot will move in response to your controls and through an iPad display you be present at any event in the world. This is a unique and compelling solution for VIP guests who would otherwise be unable to attend your event. All of these tools are sure to make you and your team’s lives easier while you prep for your next event. They will help you deliver an improved final result while streamlining and your event planning process.